The Women’s Forum of Litchfield will welcome Dan Furman to speak about the origin and history of special flowers May 2 at 2:30 p.m. at the Litchfield Community Center. Furman is co-owner of Cricket Hill Garden, a specialty nursery and forest farm in Thomaston founded by his parents, Kasha and David Furman, in 1989 with a focus on Chinese tree peonies. It was one of the first nurseries in the U.S. to sell true-to-name varieties of these rare plants. Over the last 25 years, they have transformed a rocky, wooded hillside into a 6-acre peony display garden called Peony Heaven. The cultivars selected to propagate and offer for sale are those that are outstanding in hardiness, vigor, color, form or fragrance. After Dan joined the business, he took the lead in diversifying Cricket Hill Garden's offerings to include hardy fruit trees and berries for edible landscaping. In 2013, Cricket Hill planted a demonstration orchard with Asian pears, pawpaws, persimmons, quinces, heirloom apples and medlars and are proud that all plants are grown without the use of any synthetic pesticides, herbicides, or fungicides. The event will be open to non-Forum members with a $10 fee at the door, which includes a High Tea reception. The contacts for more information are 860-567-3966 and womensforumoflitchfield.org. Haworth Barker of Goshen (center, in blue shirt and next to his wife, Marcia) was honored on Sunday, the day before he turned 80. Friends and family turned out to celebrate Barker's birthday, which was on Monday, during a reception at Old Town Hall. Always on the First Sunday of Lent, we hear Jesus being tempted by the devil during the forty days He spent in the desert. Lent, each year is to be our settling up time to live our faith and to repent, reorient and place God FIRST for forty days! We face temptations every day that distract us from following the example of Jesus and to place ourselves, our human desires for power, control and human praise to humbly walk as person’s of faith, hope and love. The Church offers us 3 easy steps to keep it simple sinner; PRAY, FAST, GIVE ALMS! The way to the soul is through the body for we are physical as well as spiritual beings and if we are honest the physical almost always takes precedence! Jesus was tested to show us how to go beyond temptations and grow in grace for a new springtime. The three temptations Jesus faces in the desert are similar to what we must face each day. Each temptation involves a seizure of power: power over the elements of creation to turn stones to bread; political and military power by gaining power over the kingdom of the world; and the power to force God’s protection in an inappropriate manner. A change of heart is really the call and challenge of Lent and a desert experience. The desert is associated with solitude, danger, hunger and fears and these are also real in our daily lives in our own personal desert’s. Lent is a time to work for new behavior, new attitudes, greater strength to avoid physical temptations but it is also a good time to ask for forgiveness for betrayals, grief, pain and irritable behavior to others that we have hurt. To settle up on coming clean on what we have done wrong or on what we have failed to do and apologize for what we have selfishly and in our out of control done to others. These apologies are few and far between in our culture and most people would be overjoyed at our change of heart and we would be amazed at the new feelings of love and peace in our spiritual being. This is the week to avoid personal physical temptations and make things right in our heart, or love for God and Neighbor. A simple challenge to just settle up the past with a new and better future The Big Three; Prayer, Fasting and Almsgiving may be met in just reflecting as we bless the breaking of bread at leaner meals and ask for the forgiveness and love of others as we share and celebrate a great Lenten Day and offer this Irish Blessing: MAY YOU ALWAYS HAVE WORK FOR YOUR HANDS TO DO. MAY YOUR POCKETS ALWAYS HOLD A COIN OR TWO. MAY THE HAND OF A FRIEND ALWAYS BE NEAR YOU. MAY GOD FILL YOUR HEART WITH GLADNESS TO CHEER YOU. The First Congregational Church of Litchfield has announced that it will offer the use of most of its rooms for use by outside groups starting in March 2019. This would include not only meeting rooms, but the Fellowship Hall that has a complete kitchen attached. Rooms vary in size that would be appropriate for smaller, more intimate meetings or counseling, to rooms that would hold up to 50 people. The buildings are ADA accessible. Ample parking is available. The church, which will celebrate its 300th anniversary in 2 years, is responding to the many requests that have been made in the past due to the lack of such facilities here in Litchfield. If interested, please call the church office at 860-567-8705 or email at office@fcclitchfield.com. A room devoted to children’s books is open at the Litchfield Congregational Church book store. Children’s books are a real bargain – 50¢ for soft cover and $1 for hardcover books. Or, for $10, shoppers can fill a box with as many books as will fit and it’s OK if they stick out the top. A special promotion is available to area teachers to help them stock their classrooms. The store is open on Saturdays from 10 to 3 and on Sunday afternoons. It is located in the basement of the church, located on the Green at 21 Torrington Road. Over the age of 60, and live in or visiting the Litchfield area? Why not stop in and have lunch at our beautiful Litchfield Community Café located in the Litchfield Community Center? The Litchfield Community Café serves congregate lunch Mondays through Fridays! (Fridays are meatless Fridays!) For a suggested donation of only $4.00, you can enjoy a hot, delicious nutritious meal including milk, coffee or tea and dessert! Reservations required by noon the day before. For the current menu, further information, or to make a reservation, please call 860-567-5746. Hope to see you there! The Food Pantry at St. Michael’s is a success: since starting this spring, an increasing number of our neighbors come to the Community House the third Saturday of each month. From 10:30 a.m. to 12:30 p.m., we distribute much-needed canned and packaged food, fresh bread, eggs and vegetables, and frozen meals. In October our neighbors took away over 1200 lbs. of food. The good news is that the racks are empty. The bad news is that the racks are empty. People needed all the food we had. 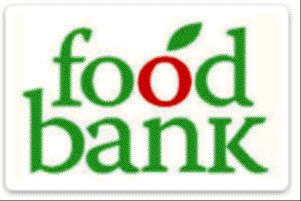 The Food Pantry is appealing to you to help fill the shelves each month. The Pantry needs your support to supply our community’s needs. We invite you to help provide our neighbors with the food they need. You can donate food, you can donate cash, and you can donate time. You can help with purchasing, collecting and delivering food, stocking the shelves, or assisting on the third Saturday of each month. The church is always open, and you can drop off donations any time in the north pews. are collecting information on women veterans. The veterans of American Legion Post 44 in Bantam are collecting names stories and photographs of women who have, or are serving, in the military. This information will be added to the Women in Military Service for America Memorial in Washington, D.C. The Women’s Memorial is dedicated to all military women — past, present and future. If you would like to add yourself or a veteran from your family (deceased or living) please see Master Sergeant Linda Searles at the Saturday, December 2nd Veteran of the Month ceremony in the Bantam Borough Hall. The ceremony to honor a veteran starts at 10 am, social and light refreshments will follow. She can also email you the form. Contact Linda at lindaarmyveteran@gmail. 860-868-7881 ext. 114. for more information.